When it comes to glass tables, for both indoors and outdoors in Victoria, Australia, using a tempered glass table top is vital to being able to enjoy your table in the long-term, worry-free. Some people try to reduce costs by opting for a standard piece of glass to use as a table surface. After all, you plan to use your table carefully, and so it doesn’t necessarily need the same ultra-strong glass that’s used for shop windows, vehicle windshields and mobile phone screens. When you consider how problematic – and expensive – a broken glass table top could become, you’ll realise why using tempered glass is so important. It’s not just a case of taking extra precautions. When you use glass as a design or architectural feature, you want it to last for years, even decades, without cracking. And, you don’t want to have to worry about the safety of you or your loved ones. Tempered glass is basically glass that has been toughened. It’s about four times stronger than regular, or annealed glass. To make tempered glass, controlled heating and cooling treatments are used during the production process to give the glass greater resilience. The glass is first heated to an extreme temperature. Next it is put through a high-pressure cooling process, which cools the outer surfaces faster than the centre of the glass. As a result, the inside retains tension whilst the outer layer is in a state of eternal compression. Chemical treatments can also be used to temper the glass, although thermal conditioning is more widely used because it is a less expensive process while still being effective. Following this conditioning process, not only is the glass less sensitive to the environment or to impact, but also, if it does break, it tends to fracture into smaller, granular pieces. This makes it a much safer option than annealed glass, which shatters into jagged shards. 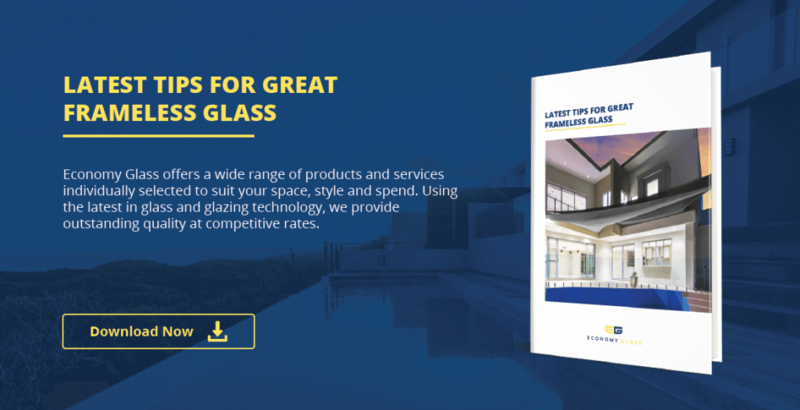 Because of these characteristics, a tempered glass table top offers greater longevity whilst also being a safer option – without sacrificing aesthetic style or customisation potential. As long as your glass is sitting directly on top of an existing table, essentially covering the surface of another table top material, such as wood or metal, you can simply use a clear float glass. This is because the secondary surface is supporting the structure of the glass, and the glass is being held in place by ridges around the edge of the table. If the table is not ridged, toughened glass should be used instead. This is because, without the ridges, it is easier for the glass table top to be knocked off the surface. When you’re setting glass on top of a centred base, whether it’s a piece of wood, pottery, composite material, or more glass, it’s always smarter to use tempered glass. Even if you feel confident that the glass surface is secure, the right amount of weight or sudden pressure can disturb the balance of your table. If the glass moves and you have tempered glass, you don’t have to worry about it shattering into thousands of sharp, jagged pieces. Likely, your only problem will be repositioning it (glass table tops are usually surprisingly heavy!). 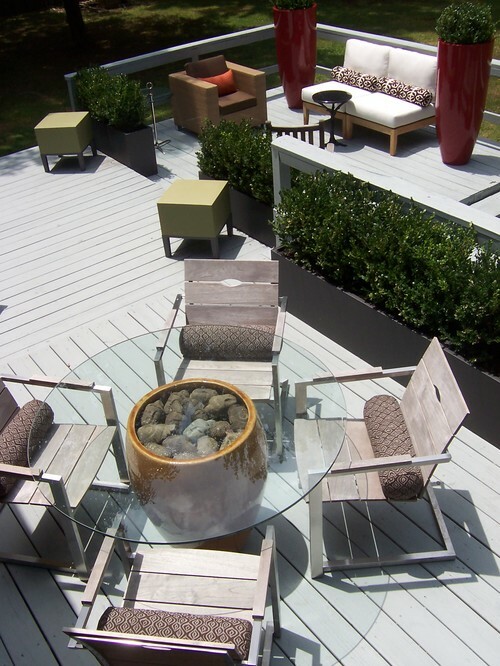 With outdoor tables, tempered glass is a must-have feature. Even if you live in an area with a mild climate, if the wind picks up which it is known to in the Western Suburbs of Melbourne at certain times of the year, the wide flat surface of your glass table top makes it extremely vulnerable. Glass acts like a large sail when caught by the wind, and can be propelled great distances at high speeds. Using toughened glass helps to avoid this problem. If the toughened glass is properly attached to the table structure, it is less likely to be broken loose by the wind. In the event that the glass is loosened, the strengthened material either will remain intact or break down into small granular pieces, which do not represent a laceration hazard. There are plenty of balmy, sunny days to entertain guests and enjoy sunlit meals outside when you can leave your glass table set up ready for use, or simply to enjoy its aesthetic appeal. With a safer, stronger tempered glass table top, you can get the timeless look of glass plus peace of mind. Just be sure to work with a glass and glazing company that can give you the custom cut and finish you want. At Economy Glass, glass is cut to size and polished in house. We can also come out to your home or project site to take measurements to ensure your glass is cut accurately to the millimetre. With professional measuring, cutting and finishing, you’ll know you’re getting a piece of high-quality glass that will fit perfectly on your table.